Find hotel near German National Museum Of .. 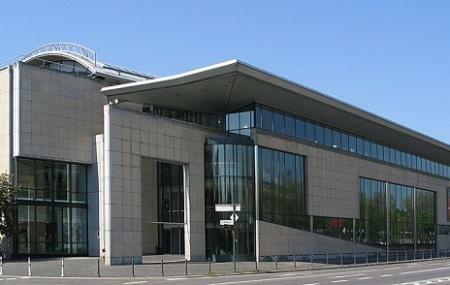 This contemporary history museum in Bonn, Germany is known as the Haus der Geschichte (officially known as Haus der Geschichte der Bundesrepublik Deutschland, "House of the History of the Federal Republic of Germany.” This museum hosts permanent exhibition depicting the German history from 1945 until the present day. The museum is very interactive with many historical objects coming to life. Apart from exhibitions, this museum is also the venue for many scientific conventions. How popular is German National Museum Of Contemporary History? People normally club together Bundeskunsthalle and Poppelsdorf Palace while planning their visit to German National Museum Of Contemporary History.